In Florida, there are times when there’s no way to avoid nasty weather like hurricanes. That’s why homes have to have either hurricane shutters or impact resistant windows in Clearwater, FL. If you currently have shutters, you might wonder why you should bother making the switch to impact resistant windows. The truth is that these windows carry advantages with them both during hurricane season and the rest of the year. As you make the decision, here are a few to consider. Insurance is a necessity, especially when you live in the path of a possible hurricane. You want to have that insurance coverage when you need it most, but that doesn’t mean you want to pay a ton for it every month. It’s always nice to reduce costs instead of increasing them and when you place impact resistant windows on your home, you are able to take your insurance coverage premiums down. Your home will be safer and there are fewer chances of something happening to it, even during a hurricane. So the insurance policy will cost less overall, which is good news for your budget. Every time a possible hurricane is about to come through, you have to drag the shutters out of the garage or storage shed and put them up, over your windows. That’s a tiring job and you might not always have time for it. Plus, what happens if you put one on slightly wrong? They might not protect your home anyway. This is the great thing about impact resistant shutters. You have them installed exactly one time and that’s it. When the storms are looming, you can kick back and watch the coverage on TV and not worry about doing a thing to your windows. They’re ready and they’ll take you through the storm with ease. It’s nice to be able to hear the birds singing when you open your windows, but there are times you’d rather not hear the traffic on your street or the neighbors mowing their lawn. During those times, impact resistant windows are at their best. These windows block out hurricane winds and flying debris, but they can also block out noise. You don’t have to be frustrated over your lack of peace and quiet any longer. One of the biggest goals you might have for any window you purchase is to increase energy efficiency. Energy efficiency allows you to use less energy and save money on your energy bills. You’ll lessen your carbon footprint and enjoy further comfort in your home at the same time. 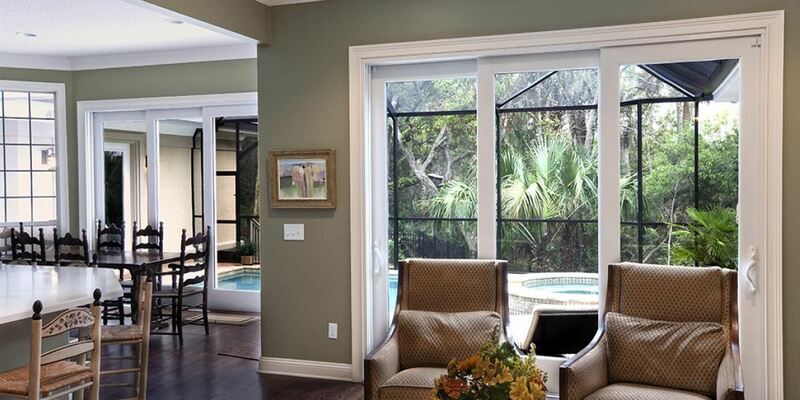 If you’re not sure about impact resistant windows in Clearwater, FL, and you’d like to find out more about them, contact Clearwater Window & Door Inc at (727) 559-7007. We’ll answer all your questions in a free consultation or you can stop by and see us at 2025 Gulf to Bay Blvd, Clearwater, FL 33765.